You can use the LENGTH function to find out how many characters are there in a character value. Let's take a look at the LIST data set. 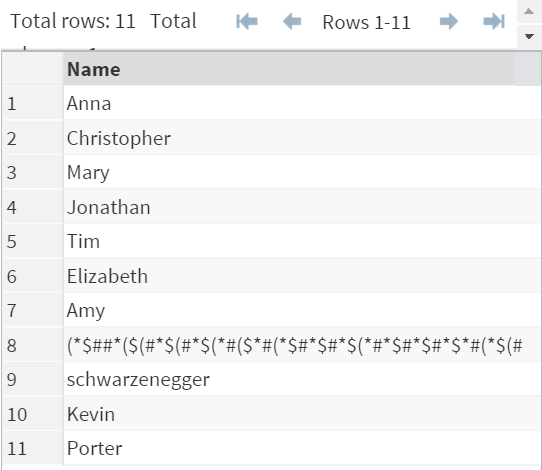 The LIST data set contains a list of names. Now, let's take a look at an example of the LENGTH function. 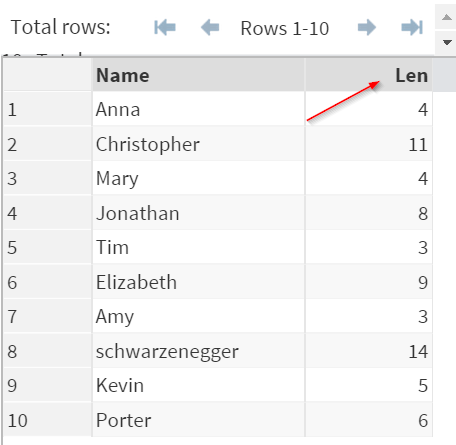 The LENGTH function created a new variable LEN, which shows the number of characters in each names. Copy and run the FIRSTNAME data set from the yellow box below. 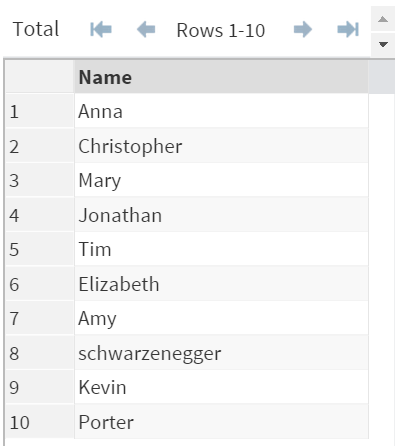 Write a SAS program to find out the length of each name. Create any data set or variables if necessary.